Top 5 Astonishing games released in 1998 do you agree? 1998, what a wonderful year of games. The PlayStation 1, the N64, and the almighty and the MASTERRACE of gaming.. the PC. I was lucky enough to have gotten my first computer around this time. Even though it didn’t have a sweet “3D Accelerator” card better known as a Video Card or GPU(Graphics Processor Unit) beside onboard, it still played some amazing games. Whenever my cousin picked up the PlayStation 1 in 1998, little did I know that I would be playing one heck of a 3D fighting game. 3D fighting games still to this day, are really hard to master. 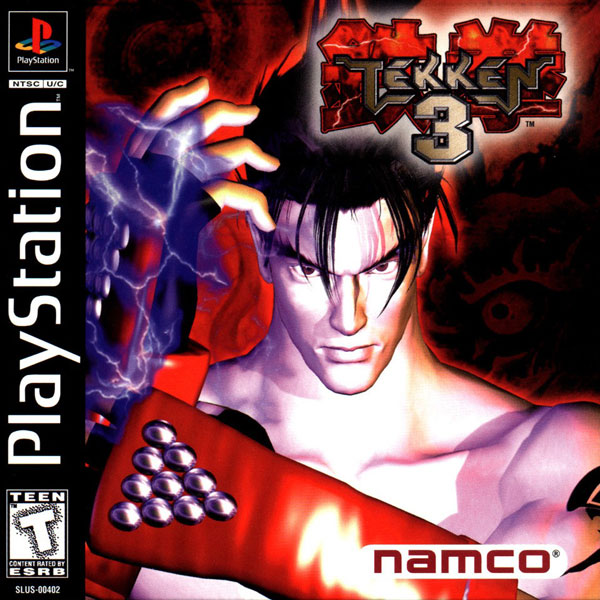 Tekken 3 almost perfected it in 1998 cause this game was fantastic. The unlock, the massive roster, the secrets, the combos and the character stories. It was all great and super fun. Most fighting games today such as Mortal Kombat, tried to step foot into the 3D fighting genre from their 2D plane. Mortal Kombat really just didn’t work out as well as a 3D fighter as now they have returned to a 3D model but on a 2D plane fighting style which is fantastic. Tekken is still full 3D even in 2017. This game holds a special place in my heart. The year 1998 this game came out, and well my father wasn’t really around. I had just gotten a nice video card in my PC. He shows up one day and he decides to take me to Wal-Mart or Kmart I forget what, but we made a huge deal out of it went out and ate and everything. This game was on the shelf, and he said he wanted to get it for me. 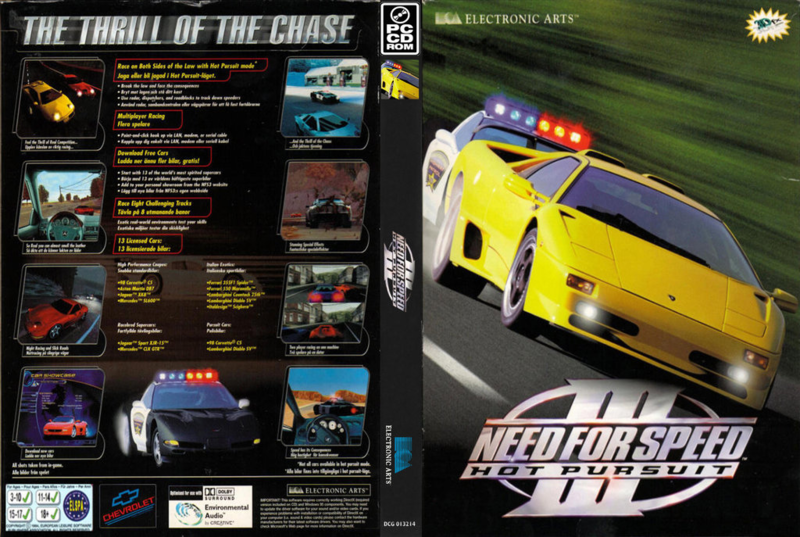 I had played Need for Speed 2 on the ps1 before it wasn’t anything special so I figured I’d give this game a chance. This game blew my mind. Cops chasing you, setting out spike traps. Holy moly it was insane, and the music was great, the cars were fantastic. However, that wasn’t even the best part. The PC is very well known for the modding community. NFSIII was no exception. THE AMAZING cars you could download and play were INSANE! Still, to this day I keep looking for the old Stone Cold Steve Austin Truck you could download, it was unstoppable and would send the other cars flipping off the map. Sadly, I don’t think it exists anymore on any sites if someone finds it please let me know. The PlayStation 1 had no shortage of amazing RPGs. The story on this game is I did play the first one, and it was amazing. I was a huge RPG fan growing up, luckily me, my mom and my cousin one day went to the good ole flea market early one Sunday morning in Paintsville Kentucky. I saw this game sitting on a table like most games did, going for around the price of $5. YES. 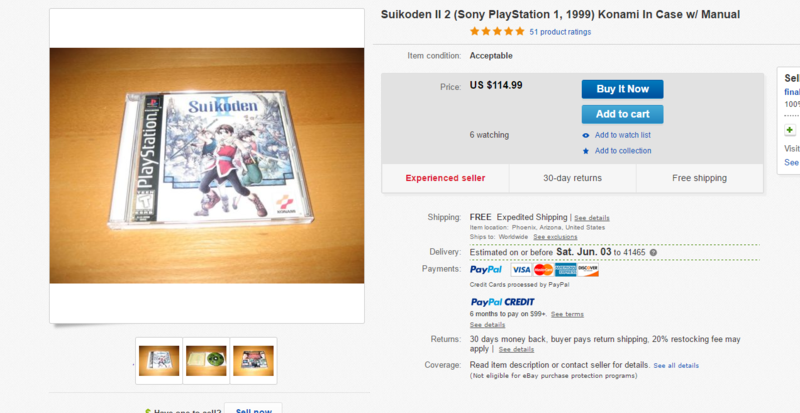 $5… Have you seen what this game is worth in 2017 in a good condition? $114 in the year 2017! I honestly have no idea what happened to it. I no longer have it. The story is amazing, this game has basically a bunch of different games inside of it. Puzzles, RTS, RPG, and collecting Heroes. I think there is way over 100 heroes you can collect for your castle, each one for a star. It’s been such a long time since I played this game, but it was nothing shear of amazing. This game was the first game I ever BINGED played. I played 12 hours straight one day. No bathroom breaks, no eating, just playing games laying in my bedroom. Insane. The only game that’s topped it in 1 sit through is probably World of Warcraft. To tell you how good this game was in 1998, I never even owned a Nintendo 64 growing up, yet I played the crap outta this game. I would go to my aunt’s house just to even have the slight remote chance to play this game! I’m not even that big of a fan of 3D Zelda GAMES! My favorite Zelda games to this day are Zelda A link to the past, Link between worlds, and this one. I’m currently playing Zelda Breath of the Wild. The music in this game, the exploring, the Z-targeting, camera angles etc.. 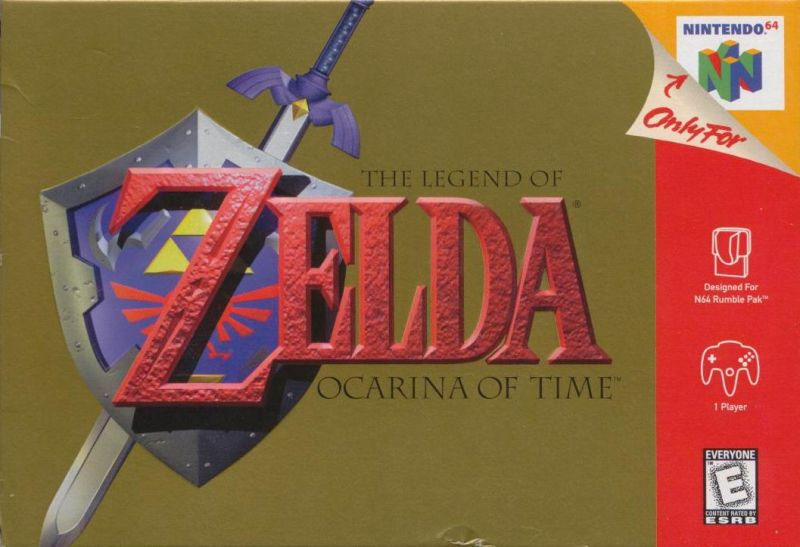 This game was what a 3D adventure game should be and Nintendo perfected it. Sadly, In my opinion there really hasn’t been another good 3D Zelda come out since. Zelda Breath of the Wild is making a run for its money. In 1998, there was lots of auctions going around in the little town of Salyersville, KY. Unfortunately, I really didn’t like them everyone smoked, I was maybe 10. So it is untelling on how many awesome deals was passed up on there. Anyways the one time my mother made me go, this game popped up alongside SimCity 3000. 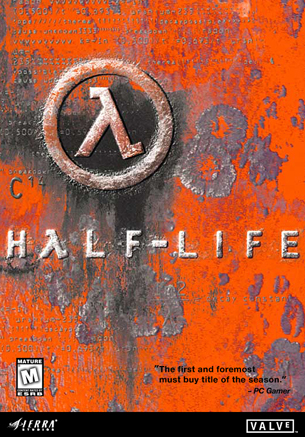 I literally had NO clue what Half-life even was. I almost told her not to buy it. The auction got the games down to $10 a piece BRAND NEW and I ALMOST passed on this game. So I’m sitting at home, dying and waiting to play SimCity 3000. I play it first of course cause I have no idea who Sierra or this company “Valve” is and truthfully I didn’t care. The back looked good is seriously was the only thing I was going on cause it had a gun in it was the reason I got it. I finally install this game. I’m riding around in a tram, which seemed like forever. I thought ugh, what a waste of $10 this game is going to be horrible. You are a scientist and you show up to work late what in the world was a playing. I’m playing the worst game in history I thought. This game is seriously the reason that you got into computer games. Not only was this game amazing, it had no cutscenes, but it had in-game cut scenes. It might’ve been the first time anyone had ever seen anything like this. The puzzles, the hard jumps, the mysterious G-Man and aliens showing up out of you pushing a cart into a green beam all great. That wasn’t it, no, no this game had even more. The sheer amount of mods you could get for this game was insane, it was like having 100 games in one. The modding community was incredible. Why Team Fortress Classic was made out of it, everyone’s favorite Online FPS Counter-Strike was born from this game! If I was stuck on a deserted island and had access to the internet, this is the game you would get cause you would have plenty to do. I hope you guys enjoyed this list, there is, however, an honorable mention I want to give out. This game was amazing. 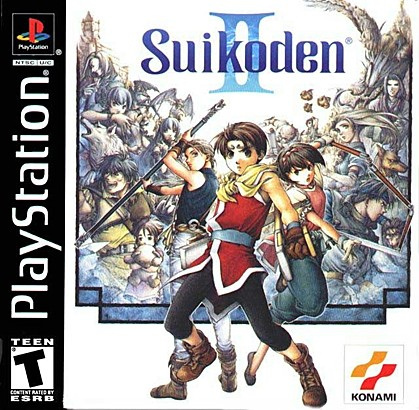 Possibly till this day the best Strategy RPG out. I didn’t want to choose another RPG on the list and the best version of this game is War of the Lions as you can play as a Dark Knight. Please like and share on Facebook, Twitter and sign up!